When a floppy haired, average-sized, cigarette smoking, middle-class Delhi boy set his foot in Mumbai more than two decades ago, little did one imagine him to rule this highly nepotistic industry. 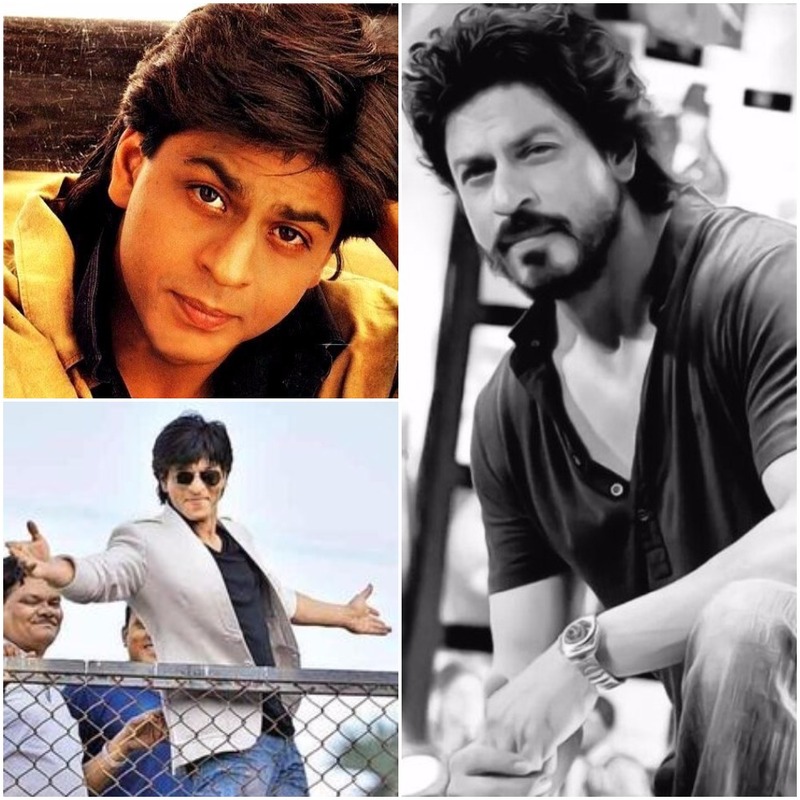 Today, 25 years later, only three English alphabets are needed to introduce him – SRK, a name that can launch million brands in India. If there is one entity in Bollywood who can sweep you off your feet with his words, it is this man. He is much like a magician who can easily use the power of his vocabulary to hypnotize you and leave you enchanted. A fellow journalist friend who is rarely star struck describes him as Allah Ka Banda. I have no doubt that he is one. From ruling the box-office, winning plethora of awards(except the national award), hosting shows, owning a cricket team, building a successful production house and a state-of-art animation studio, jet-setting the world in charter flights to charming the corporate chieftains and powerful Sheikhs, this man has managed to remain a winner all the way. I am sure had he not been an actor, he would have become a Sadhguru. ( A chat session between Sadhguru Jaggi Vasudev and Shahrukh Khan would be great, me thinks). I have had the great privilege of meeting this actor on many occasions – film launches, Eid, 2Nov(SRK’s birthday). While I have not had the opportunity of engaging in a one-to-one interview with him yet(Great things take time), I have been a part of many group interactions with SRK. And to be fair, groups are fun. You can sit back and listen to different questions and different answers of SRK. I was part of one such interview last week during Eid which also coincided with SRK’s 25 years as a Hindi film actor. The interview started on its usual note with questions revolving around Eid and SRK’s 25 years in B-town and the actor punctuated his answers with witty anecdotes. When SRK recollected how many articles written about him are sometimes very funny, a journalist asked him to reveal a few such write-ups. His response – ‘I can’t because who knows you may have written some of those.’ Very witty, I thought. Half way into the interview, a spunky female journalist seated next to me fired her question. ‘ SRK have you in these 25 years ever felt about quitting acting, take it easy and spend time with family? SRK – The audience is my family. How can I give up my family? Let me ask you. Have you ever felt the need to quit journalism? Her answer – No. I love what I do. SRK – What motivates you to stay working? She replies – We love what we do.. Here, I stepped in to put forward my opinion. ‘Money is also a motivating factor,’ I said almost simultaneously thinking how journalism is not exactly one of the best paying jobs around. SRK looked at me and nodded his head and proceeded finish the rest of his answer to the journalist’s question. “And I am qualified liar,” chuckled SRK. “I think substantiated writing; speaking or video blogging is the next step of evolution. Whenever things are new, lots of things happen. Like when we acquired KKR initially lots of things were happening. We were doing to many things like marketing, getting the right costumes, the right players. We were trying to get everything right. Some were going right and some were not. Today because of the digital age, media doesn’t know which part to hang on to. Do you want to hang on to the speed with which you are getting information, do you want to hang to selfies, do you want to hang on to picture story, do you want to hang on to a trend or do you want to create a trend. Finally, it will settle down to the basic thing which is true for actors, filmmakers and writers as well – What is the right knowledge. It is not going to be the speed of knowledge, it is not going to be about how fast you can give the knowledge. Finally it is going to be about how correct the knowledge is. I see people sitting in a cinema theater and live tweeting which is mind f***ing blowing because you have the access to this knowledge but somewhere you also will agree that this is not the right thing to do because however amazing you are as a multi-tasker, it takes that little time away from the film while you are tweeting. Just on that basis you have not given attention to the thing that you are commenting upon. Is that the right thing to do? For example if you tell me to watch one of your interviews and I say that I will watch it, then it is my duty to watch it and give you a feedback and not doing so while eating something or doing anything else. So if a person is going to tweet about the film while the film is running, I think there is inherently something wrong about it. I don’t think it is wrong in terms of Aisa nahi karna chaiye..Kar lo. But I am not going to believe a person’s review. I want the right knowledge. I want someone to sit down, watch the film fully and then say whether the film is good or bad. Small things like that will amount to bigger things. In media, today we are in an age where I am finding the louder is the right one. And you start believing in. If I can scream more, it will be accepted. And to a certain sense it is true. Apne Munh Mian Mithu is amazing and the medium is like that. It is not because you are so self obsessed about yourself. We all like praising ourselves. Today the one who speaks the loudest is seen as the right or correct one. I don’t think it will last too long. This self praise or talking about yourself or I say something controversial and I will get followers thinking.. you are getting followers because you are an a**hole. Behaving like this will not sustain in the longer run because if you are an a**hole in front of everyone, there will come a time when the a**hole will be behind you. You will never be appreciated. People will never take it as substantiated talk. I remember the time when I joined the film industry, there were actors who used to put up their own posters to become famous. There were small producers who used to put the poster of their films outside a star’s house to get publicity. But that finally didn’t amount to anything. Ultimately an off beat actor like Nana Patekar became a superstar because he could act, deliver and do the s**t that people wanted to see. Like the late Om Puriji. When you see him in Tubelight, he may be not at his prime in the film but you see him and you know there is something of girth. As I stood up to shake hands with SRK post the interview, the superstar said, ” You know my father was a lawyer.” I am aware of that Sir, ” I answered. ” Do you know my sister is also a qualified lawyer,”. “Now That I didn’t know, ” I said and SRK smiled.